Chi Nguyen- Zeh is a native of Viet-Nam who immigrated to the United States in April of 1975 just before the fall of Saigon. She completed her education in Hawaii and graduated from the Hawaii school of business in Honolulu. as well as local colleges and universities. She routinely accepts private assignment from law firms, court reporters, medical doctors, and insurance companies in the Tampa and Central Florida. 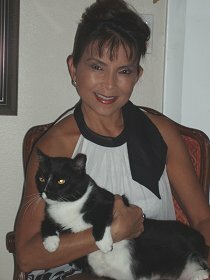 Ms Nguyen-Zeh is active in the animal welfare movement. She is committed to preserving the environment and is an active supporter of both human and animal rights. She volunteers her time at the Human Society of Tampa Bay and encourages you to find your passion and voice your concerns for the environment and all living things.